World Diabetes Day (WDD) is an international health awareness day created in 1991 by the World Health Organization (WHO) and the International Diabetes Federation (IDF) as a response to the escalating number of people dying from diabetes. The day is set aside to promote advocacy and create awareness on diabetes. In a circular to all CBC Health Services’ institutions, the Director of Health Services (DHS), Prof. Tih Pius Muffih encouraged all staff and their families to adopt regular physical exercise. Prof. Tih Pius, who is a public health expert said, “Diabetes runs in the Family because no one runs.” He used the occasion to reiterate the CBC Health Services’ unwavering commitment in providing care to those living with diabetes through diabetic units found in her hospitals and health centers. 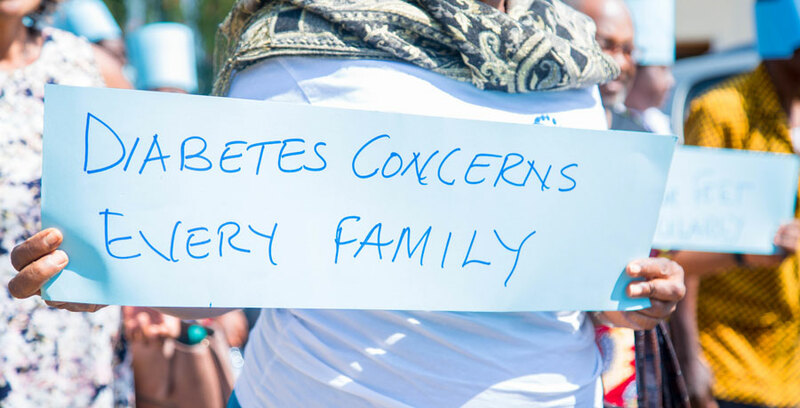 Over 425 million people, according to the International Diabetes Federation, are living with diabetes globally. The same body says diabetes causes more than four million deaths yearly. It is the leading cause of heart diseases, blindness, kidney failure, and lower limb amputation. In 2017, four million people died from diabetes related complications. If current lifestyle trends continue, the number of people living with diabetes is expected to rise rapidly to 500 million people globally within a decade. Cameroon is experiencing an increase in the burden of chronic non-communicable diseases (NCDs). According to the country and regional data on diabetes by WHO, 70,000 Cameroonians were living with diabetes in the year 2000 with the number estimated to reach 171,000 people by 2030. Some CBC Health Service’s health facilities also joined in the commemorative activities. 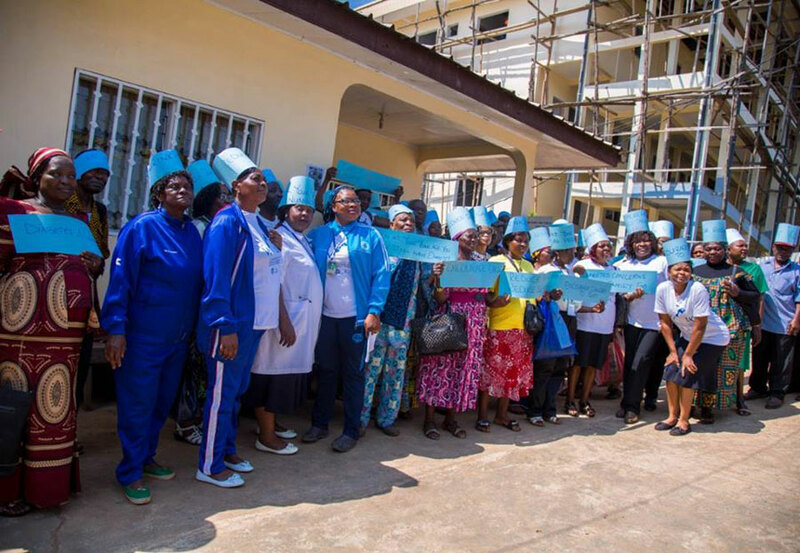 Etoug-Ebe Baptist Hospital Yaounde (EBHY), for instance, celebrated the event under the theme “There are four ways to live with diabetes to the glory of God.” The theme highlighted the fact that God knows about the condition of those living with diabetes and that they need to submit to Him. 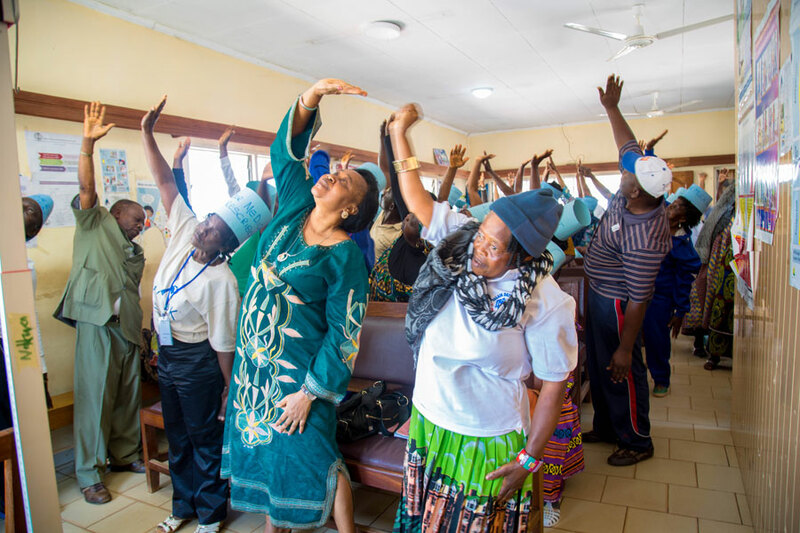 The event at EBHY, like in other CBC Health Services’ institutions took the form of ‘Know Your Numbers’ screening, health walks, speeches, dance displays, sketches, health talks, jogging, testimonies from diabetics, refreshments, and presentation of gifts to some diabetic patients. The Administrator of EBHY used the occasion to announce free eye consultation for all diabetics till January 2019. 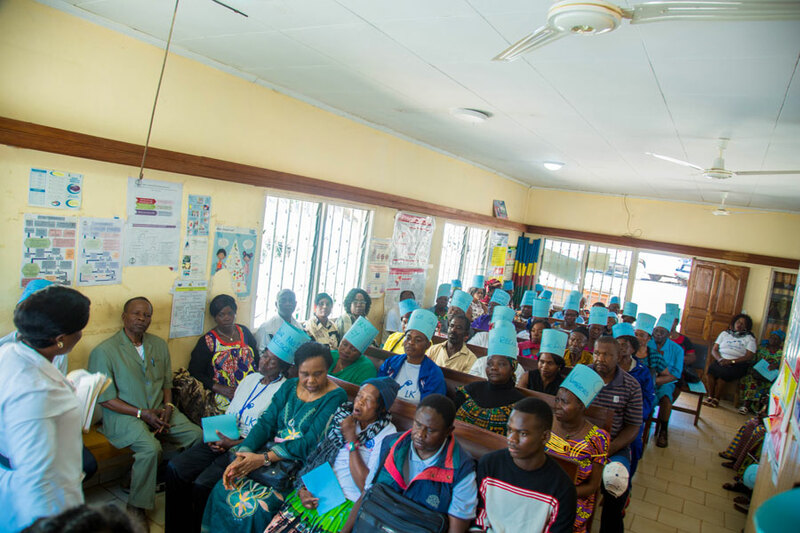 During celebrations at Nkwen Baptist Health Center in Bamenda, a diabetic shared his story to encourage other patients. Mr. Nguelewen Jean, 68, has been living with diabetes since 1988. His father, mother and sister died from diabetes. World Diabetes Day coincided with the monthly diabetic clinic day, which enabled clients to do their monthly check ups and refill of drugs. The first World Diabetes Day was celebrated in 2007, after the United Nations Resolution in 2006 made the day a recognized UN Day. Cameroonians should know more about NCDs!